Please join us Friday, September 12, 12:00 p.m. to 1:00 p.m. (Pacific) for a free webcast on the Mount Polly Mining Disaster. 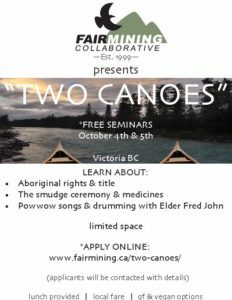 This interactive webcast will feature the latest news and first hand accounts of what is happening on the ground with the Mount Polley mining disaster, and what different groups, communities, organizers, and allies in British Columbia and beyond can do to take action at this critical time. Hosted by the Canadian Freshwater Alliance and the Council of Canadians.